Brands and ecommerce platforms: a tainted relationship? 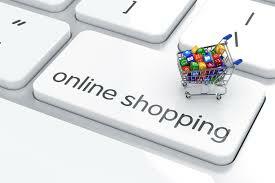 What has happened to online ecommerce platforms? Over the past few months news reports have multiplied – or, perhaps, their underlying issues have acquired greater visibility – that brand owners have been increasingly voicing criticisms against, sued, or discontinued sales on ecommerce sites. In particular, after the criticisms made against Alibaba, it seems that Amazon is now making the headlines. Let’s have a quick look at what has happened over the past few months. First, there have been legal proceedings being brought by trade mark owners, claiming a direct responsibility of Amazon in the sale of counterfeits or invoking a right to prevent sales on such platform. An example of the former is the lawsuit filed by Daimler against Amazon in late 2017 in the US District Court for the Western District of Washington at Seattle. The well-known German car manufacturer argues that Amazon is directly responsible for the “offer for sale, sale and distribution of wheels which blatantly copy issued design patents in various distinctive and artistic wheel designs owned by Daimler” under the Lanham Act (§ 1051 ff), the US Patent Act (§ 1 ff), and Washington State statutory and common law. As explained on Forbes here, this is not the first time that a trade mark owner is seeking to have the direct liability of Amazon established. However, back in 2015 a 9-member jury in the same court that has now been asked to rule on the lawsuit filed by Daimler held that Amazon was not liable for the sale of counterfeit Milo & Gabby (now JoliMoli) animal-shaped pillows. If the case brought by Daimler ended with a finding of liability for Amazon, that would likely have a significant impact on the liability of platforms allowing third-party listings, and set a different approach to platform liability in the US. As readers knows, the particular issues surrounding platform liability have been at the centre of attention also in Europe. More recently, the CJEU appears to have pushed the liability of platforms even further than the realm of safe harbours (hence, scenarios of secondary liability) by holding that a platform may be even directly (primarily) liable for third-party infringements. It has done so in the copyright context, especially in the recent Filmspeler decision [here] and – even more clearly – in the Ziggo ruling [here]. If we remain in the EU context, the issue of platform liability is not the only aspect that has been touched upon in relation to ecommerce platforms. Readers will in fact remember the recent judgment in Coty Prestige, C-230/16 [here], in which the CJEU tackled the compatibility with EU competition rules of selective distribution agreements for luxury brands, including clauses that would prevent resellers from distributing branded products via Amazon. The CJEU provided an interpretation of relevant EU provisions that allows – at certain conditions – trade mark holders from preventing distribution of their goods via platforms of this kind. In parallel with court actions, other brands have recently announced their intention to discontinue sales on Amazon, over issues of counterfeiting and allegedly excessive discounts. In a timeframe of just a few weeks, this has been for instance the case of Birkenstock and Italian publisher E/O, respectively. “there have been a series of violations of the law on the Marketplace platform operated by Amazon which the platform operator has failed to prevent of its own accord. On a number of occasions, BIRKENSTOCK lodged a complaint that counterfeit products of poor quality which infringed BIRKENSTOCK’s trademark rights and misled the consumers regarding the origins of goods were being made available on the platform. A couple of weeks ago also E/O [the Italian publisher of Elena Ferrante’s books, amongst others] announced that it would no longer sell on Amazon, on consideration that the discounts requested by the ecommerce provider would be excessive. It is not the first time that a complaint of this kind is made by the publishing industry. In all this, what does the future hold? On the one hand, it appears that brand owners’ complaints may result in the adoption of new approaches towards responsibilization and liability of online platforms. This could occur not just at the court level, but also by means of initiatives of policy- and law-makers. In Europe, for instance, the issue of platform liability, notice-and-stay down obligations (including filtering), as well improved enforcement tools are currently central items to the agenda of the EU Commission and legislature. In the first half of 2018 it is expected that the Commission will unveil further legislative proposals in this area, under the umbrella of its Digital Single Market Strategy. In this sense, the general trend seems to be towards a configuration of platforms’ activity as no longer – or just – passive hosts of third-party offerings but, rather, active providers of own offerings. What should the legal treatment of this evolving and evolved scenario be? While the functioning of the internet must be safeguarded [as was also recently stressed by the German Federal Court of Justice, here and here] the questions that lie ahead and require a response are whether new rules are needed, existing rules should be applied differently … or what else? Next Next post: What is the UK limit of liability for wreck?